New Jersey and Pennsylvania for over 36 years. IBPSIA Advanced Certified, Tony is the house pro at Laurel Lanes in Maple Shade New Jersey. Carrying a full line of products from balls, bags, shoes, and accessories, Tony Rado's has what you or your league needs. 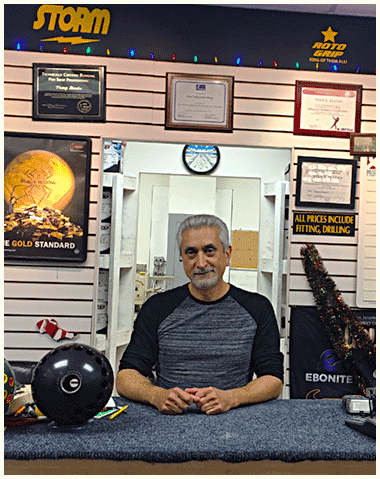 From all of bowling's finest companies such as Storm, Hammer, Ebonite, Columbia, Track, Roto-grip, and Morich bowling balls and equipment.